Well….slight prob with Aquahaus landscape plans. They are out of control expensive. I don’t even want to discuss how ridiculous the estimates were, but suffice it to say, one could buy a couple nice cars. But, this doesn’t change the fact that Texas summers are HOTTTTTT. 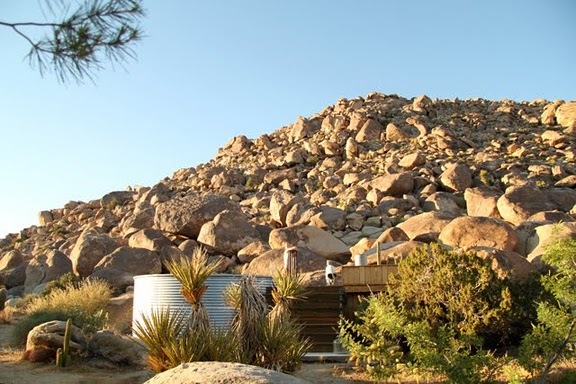 What to do to mitigate the heat? 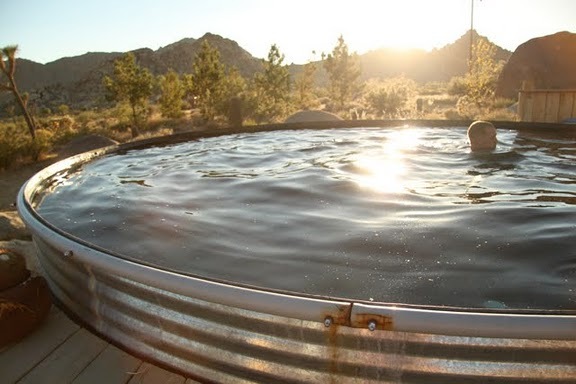 The answer is obvious- freaking live stock tank pool. 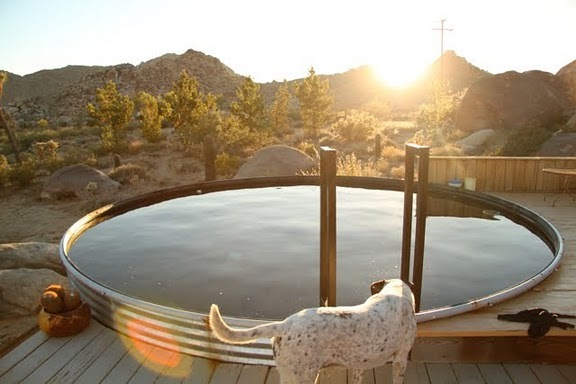 These pics are of a stock tank pool from a super cool house in Joshua Tree. Sweet huh?? You can actually add a salt water filtration system so as to not die from bacterial infections. This genius fest of an idea is gonna have to get us through the summer. And we will do it with class and lots of Bud Light and Shiner Bock.